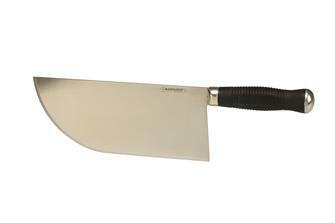 Butcher´s cleaver with 24 cm stainless steel blade, large nylon handle. Straight back cleaver 24 cm. ""Half heavy"" butcher´s cleaver . Made in France. Straight back cleaver 26 cm. ""Half heavy"" butcher´s cleaver . Made in France. 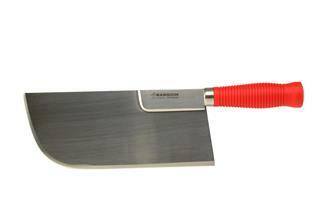 Reinforced straight back butcher´s cleaver - red - 26 cm. ""Heavy"" cleaver with a reinforced back. Swiss cleaver. 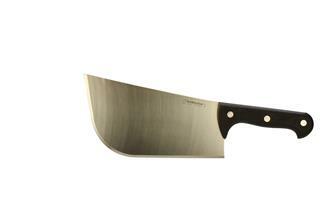 Butcher´s cleaver - 22 cm.